(Reuters) - Harley-Davidson Inc (HOG.N) reported stronger-than-expected quarterly financial results on Tuesday, lifted by increased motorcycle sales in key markets, including the United States. Harley's shares, which were down more than 15 percent year- to-date ahead of the report, surged more than 8 percent in early trading in New York, though later gave up some of those gains. From the outside, the third quarter appeared to be another tough one for the iconic motorcycle maker, with several recalls tarnishing the roll-out of the "Street," its first entirely new bike in more than a decade and its first Harley-badged lightweight motorcycle since the 1970s. Meanwhile upstart competitors, including Polaris Industries Inc, (PII.N), continued to make inroads into Harley’s big-bike market with revived brands like Indian, while long-time rivals, including Honda Motor Co Ltd <7267.T>, introduced well-received starter bikes to compete with the Street. But appearances were deceiving. Worldwide, the company's network of independent dealers sold 73,217 new Harley-Davidson motorcycles in the third quarter, up from 70,517 during the same period last year. 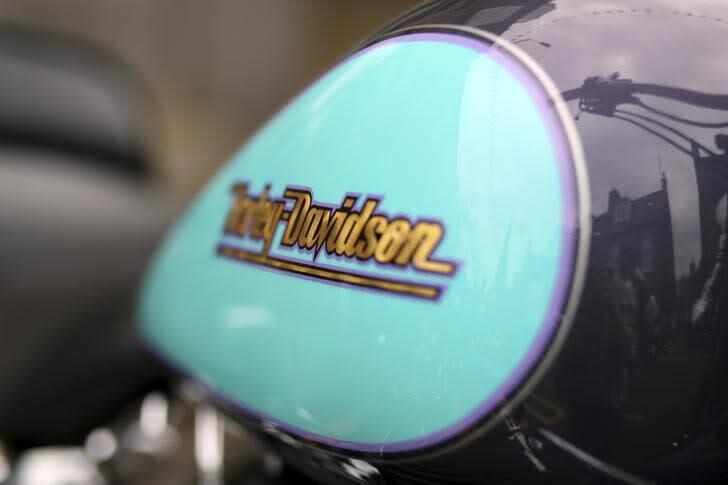 That helped Harley report a third-quarter profit of $150.1 million, or 69 cents a share. While that was down from the $162.7 million, or 73 cents a share, it reported a year ago, it was well above the 59 cents a share analysts expected, according to Reuters estimates. Retail sales at dealers in the United States, where Harley sells two-thirds of all its bikes, rose 3.4 percent during the quarter. Harley also stood by its full-year shipment guidance, a move Morningstar analyst Jaime Katz said reassured investors spooked by the company's troubles even earlier this year, when the company said unusually frigid weather during the second quarter, its key selling season in the United States, weighed on sales there. "Standing by the guidance in the wake of a really weak second quarter allayed concerns that the bad weather explanation was just an excuse and that there was a deeper problem with the business fundamentals or with the products," Katz said. The company, which rose to prominence thanks to its popularity with the Baby Boomer demographic in the United States, is working hard to appeal to new riders as its core customer group ages. It has had some success in developing new products to appeal to younger and more diverse consumers. But the Street suffered an ill-starred debut this spring despite a very limited roll-out because of difficulties involving suppliers. The company was also forced to recall 130,000 bikes, including more than 1,000 of the Streets. Harley said the recalls costs it about $14 million during the quarter. Harley shares were last up 6.2 percent in mid-morning trading at $62 after earlier trading as high as $63.41.